On the Road is a weekly series here on Street Gourmet LA, where we share a favorite bite from our travels, domestic and abroad, in the finest dining rooms around the world and at the most humble of urban and rural stands as well as people's homes. This week was just another typical week around the office, Michelin star restaurants in Jardins and Vila Medeiros, São Paulo as well as delicious pasteís (pastries) in Liberdade (São Paulo's Japanese neighborhood); Los Angeles Time's Taste event, Alex's Lemonade Stand, the Festival Chileno in Camarillo for completos (Chilean hot dogs) and pisco sours, Sinaloan-style tacos (exciting new post coming soon on Los Angeles Magazine) and a bowl of homemade menudo blanco by a family from San Juan de Abajo, Nayarit. Chava and his wife, Hildelisa, cook up a light and tasty white menudo from southern Nayarit, influenced by the nearby state of Jalisco. While this wasn't the greatest dish of this rather substantial week in food, it was a reminder of how nice it is to sit down with a family and enjoy simple, delicious and thoughtful cooking. The delicate stock is different from most white menudos I've encountered--transparent and light in flavor until chopped onions, jalapeños, yerba buena (as is typical in Jalisco) and menudo mix spices are layered to taste. The ample cuts of beef include al dente book tripe, beef tendon, and a marrow rich lower leg bone draped in crunchy bits of cartilage. The family is the best of the many houses preparing menudo blanco, all from San Juan de Abajo, in Lincoln Heights and Montecito Heights where snack kings Raspados Nayarit do business. 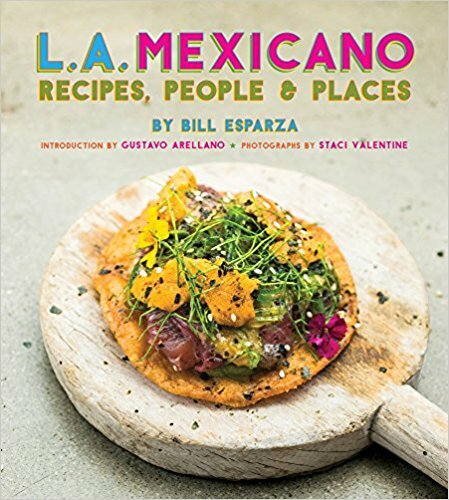 It's another example of the regional enclaves that exist in L.A. (and why L.A. has the best Mexican food in the country), where everyone knows each other, and each year and few more from their home town show up ready to work, but not until they've had a hot bowl of menudo blanco from San Juan de Abajo.